We are a Landscape Garden Design & Build Studio based in the South West, offering a fully comprehensive service to clients seeking an outside space which is both beautiful and functional. Led by RHS Award-Winning designer Andrew Jordan we have an uncompromising commitment to quality, dedicated to delivering projects that exceeds all expectations. Having previously spent 19 years in the Pharmaceutical industry developing new drug products, Andrew decided to change career path to explore his passion for plants and design. Working on multiple projects for demanding clients and to tight deadlines, has provided him with valuable project management and customer service skills which are essential for running a successful landscape and design practice. Andrew trained at the internationally renowned Garden Design School, under Robin Templar Williams and Moira Farnham, two of the industry’s leading garden designers, and qualified with distinction. 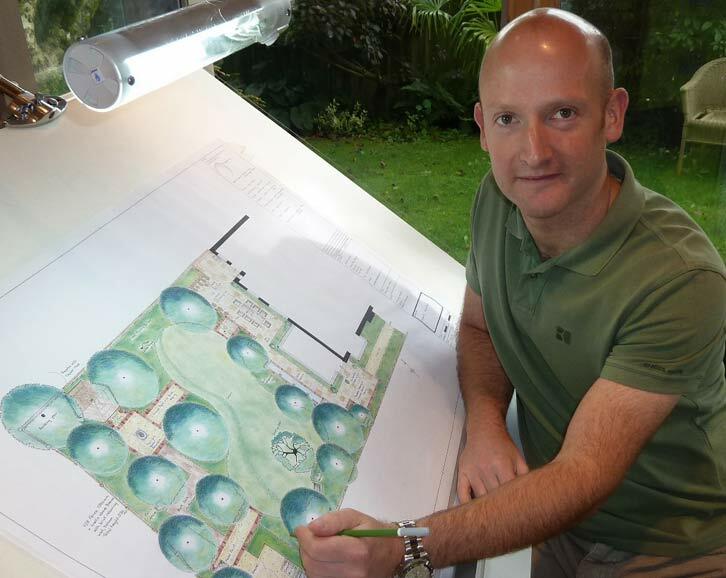 On graduating from the Garden Design School, Andrew set up his own garden design and landscaping practice based near Cirencester in the Cotswolds. Andrew Jordan Landscape & Garden Design work on private and commercial projects, for clients based throughout Wiltshire, Gloucestershire, Berkshire, Oxfordshire, The Cotswolds, Home Counties and beyond. Andrew was co-designer of the ‘Return to the Med’ show garden at the RHS Malvern Spring Show 2013. The garden was awarded a Silver Gilt. Andrew is also a Pre-registered member of the Society of Garden Designers which is the only body representing professional garden designers in the UK. His aim is to create beautiful and atmospheric outdoor spaces that reflect the personal style and practical needs of his clients. Providing a real haven to come home to, whether it be calm and relaxing, or vibrant and invigorating, and to know that in some small way he has changed your life for the better… for 19 years he did this with medicines, now he wants to do it with gardens!